Norma was born in Glenn, TX to Rector (Butch) and Odell Goss. Norma graduated SHS Class of 1962. She married Armon (Flip) Fitzgerald on November 17th, 1962 in Lockney, TX. She was a homemaker who especially loved taking care of her grandkids and then her great-granddaughters. She had many jobs through her life. She worked for the Boll Weevil program, a dress shop, and the grocery store. Norma loved working in the yard and creating flower, rock, and glass gardens. She loved traveling with her family and going to the casino. She was a wonderful cook and loved to bake. She was preceded in death by her parents, her sister Lora Williams and her husband. 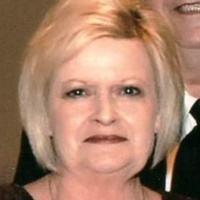 She is survived by her daughter, Lisa Fitzgerald Hancock, her grandson Michael Adam Hancock and his wife Sarah, and her granddaughter Valaree Segura and her husband Anthony, her brother Rick Goss and his wife Linda and her 3 great-grandkids, Kimberlee, Khloee, and Tyler.